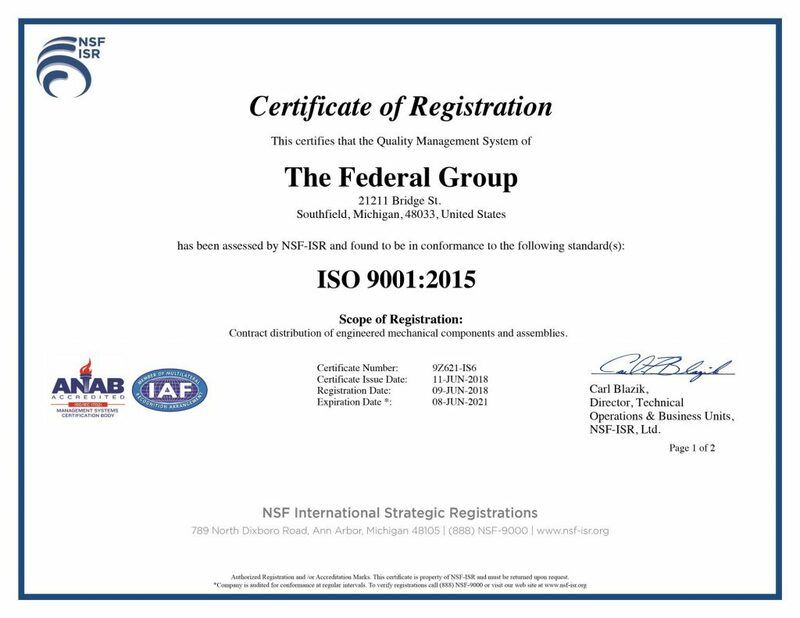 The Federal Group Achieves ISO 9001 2015 Certification. At The Federal Group USA, our commitment has always been to procure the highest quality parts and components for our partners. Best practices require strong standards, and we’re taking that seriously with our certification to the new ISO 9001-2015 requirements. This update includes an increased focus on risk-based quality management. One example of how our organization aligns with these updated requirements is by ensuring that our Quality Management System (QMS) is robust. That includes having procedures in place to respond to any risks or opportunities that could impact the performance of our QMS—including risks posed by external providers. ISO 9001 is just the start. Each of our partners has their own internal quality standards that we take seriously as well. To learn how we keep our procurement practices compliant with your organization’s stringent quality standards, contact us today. We sincerely hope you found this article informative and valuable. We welcome your comments or suggestions regarding this article or any other subjects you would like to see us write about.